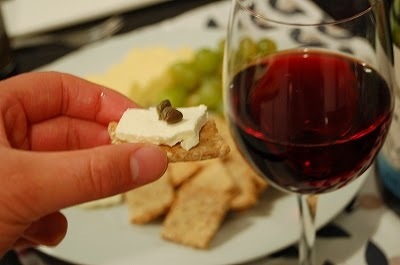 I enjoy wine and cheese combination on the weekend. Just having relax at home. 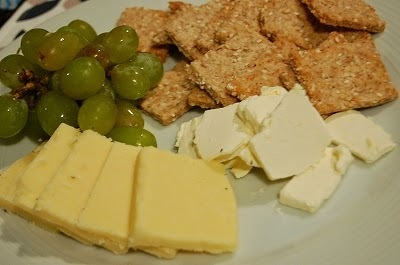 One day, I go to supermarket, I choose wine, cheese and crackers as usual. 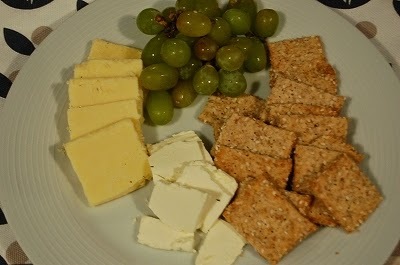 I was thinking which cracker shall I take. Plain or sesame or grain, thin or thick, expensive or cheap??????? 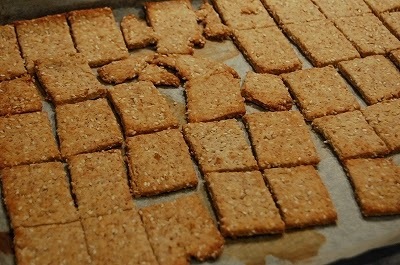 Why not make homemade cracker by myself? I am a baker. I never came up with idea making crackers. I cant believe it myself. Anyway, I got flour, wholemeal, sesame and olive oil at home. It was simple ingredients and easy process. I add honey as sweetness. Non sugar and butter, healthy choice. Baking paper on the baking tray. 1. In a bowl, combine all ingredients and mix it with your finger. It becomes dough. 2. Transfer the dough on the floured counter. Roll it out as thin as possible. 3.Transfer the dough on the baking tray. Mark square with knife, but not cut through. 4. Prick each cracker with a folk. Preheat oven at 190℃. 5. Bake it at 190℃ for 13 minutes until it becomes golden color. 6. When it gets cool down, separate individual.